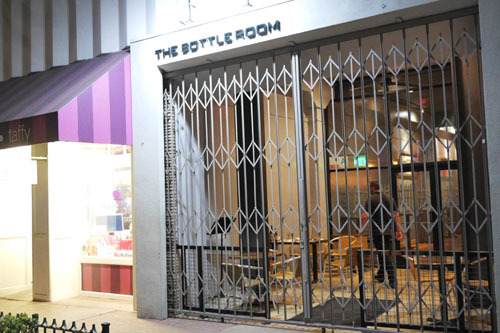 I'd heard about The Bottle Room here and there, but it's one of those places that never really was on my radar. What brought me here was an old MBA classmate of mine from Thailand who just happened to be in town for a few days. With him driving from Covina, me from near LAX, and another friend from Yorba Linda, Whittier seemed like a reasonable, central point to meet. After considering some of the options in the area, we settled upon this place, located in the historic heart of the City, not far from Bizarra Capital. 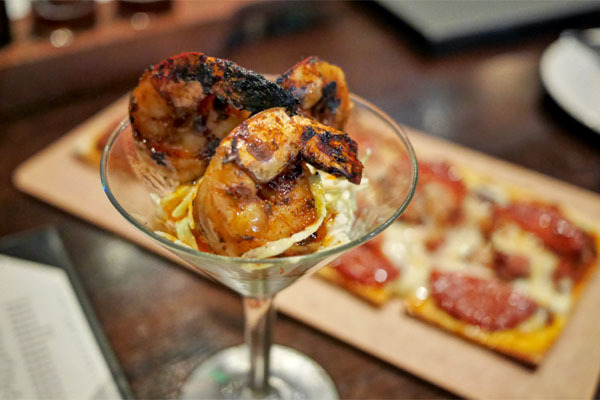 The restaurant is owned by Los Angeles firemen Patrick Best and Brandon Ibrahim, who opened the place in 2009. In the kitchen, meanwhile, is Tony Alcazar, a CSCA-Le Cordon Bleu graduate who previously worked at the defunct Mako in Beverly Hills, PRG's Nick & Stef's in Downtown, as well as The Dining Room at The Ritz-Carlton in Pasadena (now The Royce), where he cooked for six years under Craig Strong. The menu is pretty much par for the course, featuring the expected bar type fare. Click for larger versions. More interesting is the Bottle Room's beer selection, with two dozen varieties on draft and a nice array of bottles as well. There's also a small list of wines too, if you must. Click for larger versions. 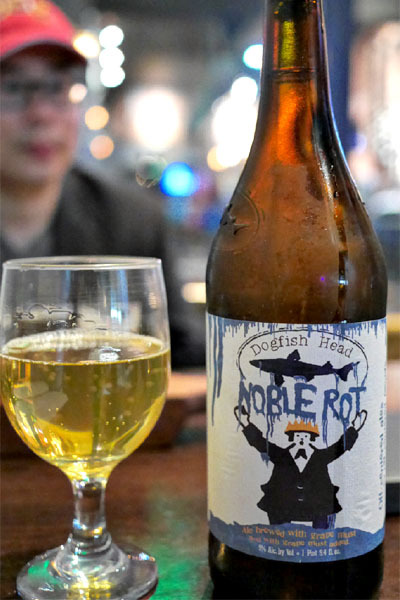 In addition to getting a couple samplers of the stuff on tap, we went with a few bottles as well, the first of which was the Dogfish Head Noble Rot [$22], a beer that I'd been curious about for years. It's basically a saison with the addition of grape must (including some infected by botrytis), and as a result, was very wine-y, with juicy grape notes to go along with the yeasty, spicy, somewhat acidic character of the brew. 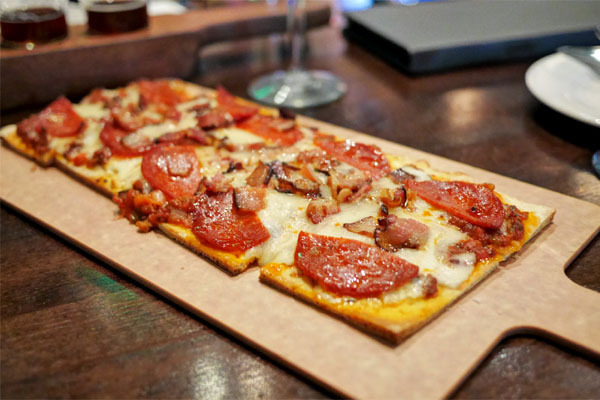 The Bottle Room has a number of flatbread type pizzas on the menu, and we opted for the most meat centric version, ostensibly named after our 37th President. It was a pretty straightforward option, just what you'd expect, a combination of spicy meat and cheese over a crisp crust that neither wowed nor disappointed. Prawns were a touch overcooked by my standards, but still enjoyable, with a pleasant barbeque-y savor to 'em and char that worked with the creamy, cooling effect of the slaw. 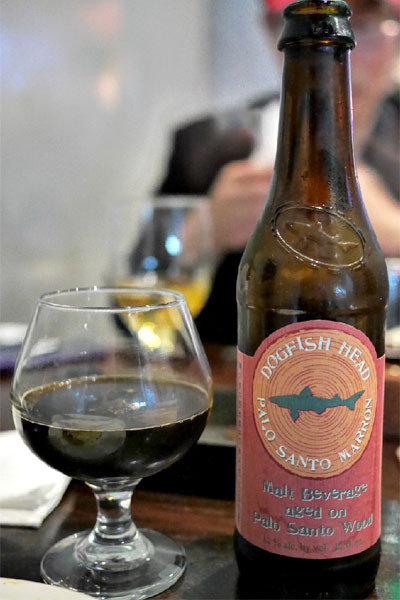 Sticking with the same producer here, we chose the Dogfish Head Palo Santo Marron [$9] next. It was a very different beer, a brown ale aged in wood that had plenty of malty, caramel-y flavors to it joined by a pleasant roasty-woody quality. 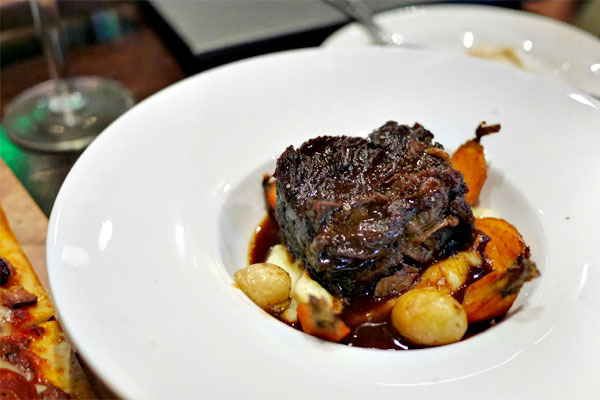 The short rib was arguably the strongest course of the night, arriving to the table fork tender and dripping with dark, bovine flavors, the root veggies working to even out its heft. Basically just what you want when it comes to a chunk of braised rib. 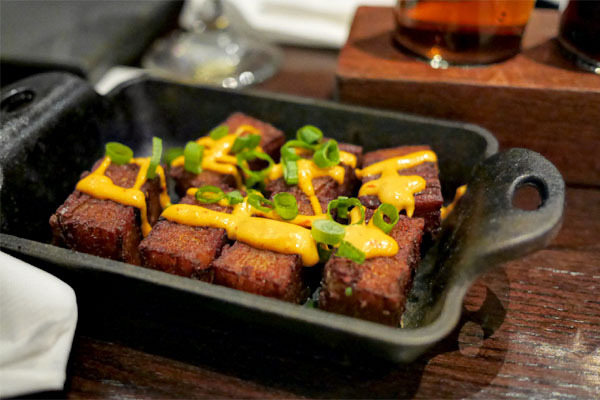 The restaurant's take on Tater Tots was a must-try for me, and I was pleasantly surprised by them. You had all the classic Tot taste, but texturally these were much more interesting, and I appreciated how the aioli helped tie it all together. 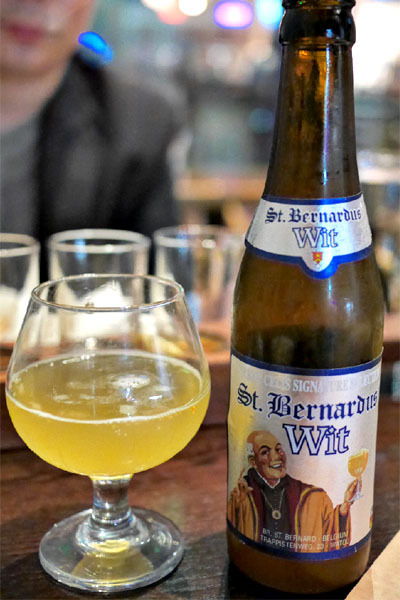 Our next beer was the St. Bernardus Wit [$9], which I'd never tried before, surprisingly. It actually turned out to be one of the best witbiers I've had in recent times, with its classic spicy-citrusy nuances and an almost floral overtone to it. 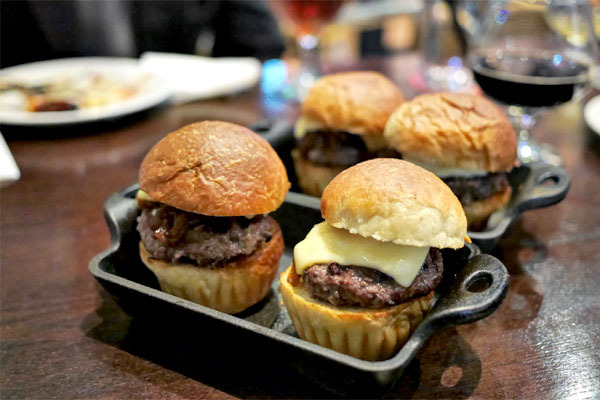 The sliders were the weakest course we had, mostly due to the meat being rather on the dry side. The combination of beef, cheese, and sweet onion should work, but the components here just didn't jive all that well together. 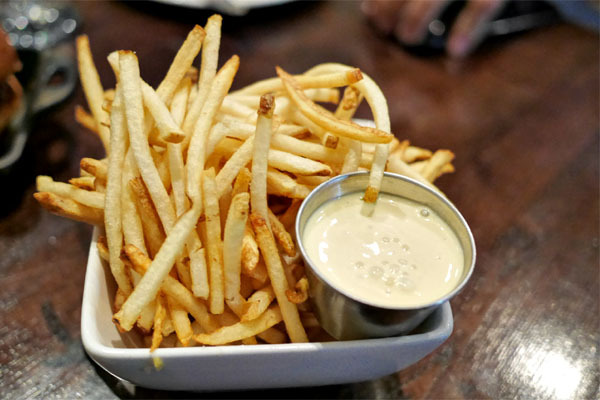 The fries were fairly prototypical, but quite good when taken with the paired condiment (I believe it was a garlic aioli). 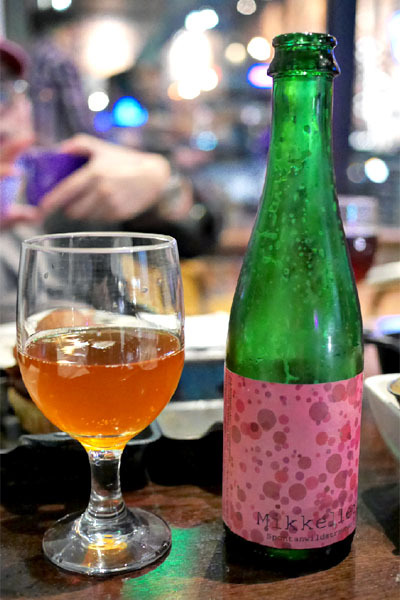 We ended with a sour, the Mikkeller Spontanwildstrawberry [$15], a super tart, super funky specimen underpinned by a persistent bit of strawberry sweetness. I'm fond of the style, but this was definitely not for everyone. 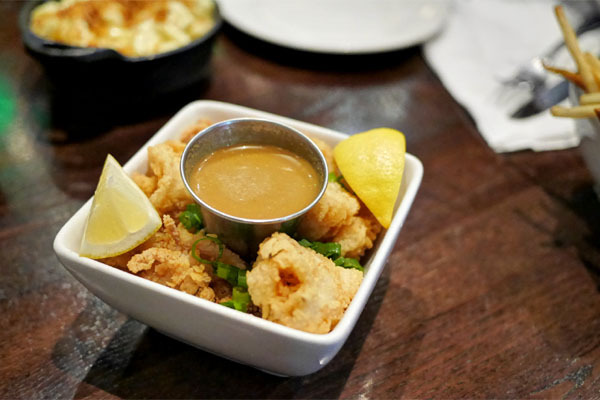 Squid was nicely crisp, yet still supple on the inside, and made sense with the dipping sauce and a squirt of lemon, though the dish veered more toward Chinese than Thai. 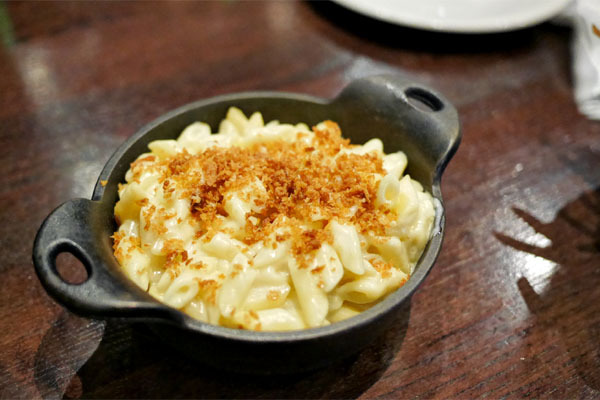 Lastly, we had to try the mac and cheese, and it didn't let us down. The dish was properly cheesy, the bread crumbs mixing things up texturally a touch, and the consistency of the pasta was spot on, too. Nicely done. All in all, a defendable choice for a brew bar. The selection of beers is better than a lot out there, and the food, while not spectacular, gets the job done for the most part. You could certainly do worse, especially given the area. With the likes of Bizarra, Portsmouth, Phlight, and this place, the Whittier scene's looking a bit up. seems like the prices were pretty cheap comparatively to most places I've been. Definitely have to check that place out.